When the 737 MAX operating Ethiopian Airlines flight 302 crashed on takeoff from Addis Ababa last Sunday, the pressure immediately began to mount. Since this accident happened during the same phase of flight as the Lion Air accident last year, the dots were instantly connected… even if they shouldn’t necessarily have been. Calls to ground the airplane mounted from all sides except from those who actually fly the thing. Everyone caved quickly except for the US and Canada. Then yesterday, the rest of the dominoes fell. The 737 MAX is now grounded worldwide while they try to figure out IF there’s a problem. The agency made this decision as a result of the data gathering process and new evidence collected at the site and analyzed today. This evidence, together with newly refined satellite data available to FAA this morning, led to this decision. That’s quite the vague statement, so all I can do is hope that there actually is new safety information that warranted the grounding and this wasn’t just about political pressure and image management. As a cynic, I naturally assume the latter. But without further detail, I can’t comment on yesterday’s decision. All I can do is write about why the decision NOT to ground the airplane with previously-available information was the right thing to do despite all the intense pressure. We know the issues that led to the Lion Air accident last year. Maintenance problems resulted in aircraft automation (that didn’t exist on previous 737 models, mind you) improperly nosing the aircraft down after departure. Pilots failing to properly respond to that movement doomed the airplane. Much has been made of Boeing failing to properly train pilots on that automation, and further training has been implemented. There is also a software rework in progress. We can go way into the weeds on whether the 737 MAX should have been required to get its own type certificate, but that’s a topic for another time… So yes, there’s plenty of blame here, but steps were in place to fix the immediate problems. A good, well-trained pilot should have been able to fly through that Lion Air situation, at least as we know it. In fact, it sounds like the Ethiopian pilots were well-trained, and they had been given the additional training on the automation after the Lion Air crash. So did they just fail to heed their training? We have absolutely no idea. And that’s really the crux of the issue here. The only thing we know is that this airplane went down in a similar phase of flight, but we don’t know why. Reports from the ground (which are notoriously unreliable) have suggested that there was smoke and possibly debris trailing the airplane before it went down. That would certainly point to a different issue if it proves to be true. But WE DON’T KNOW, and we won’t really know until they get into the black boxes. Once the black boxes are examined, something that I expect will happen very quickly considering the global pressure, we will know more. Maybe something will be found to suggest that the airplane needs to be grounded until a fault is fixed, but if we put the situation in context, it’s hard to come to that conclusion at this point. Let’s get a little perspective here. It looks like there are roughly 25,000 flights a month being operated by MAX aircraft. That number climbs every day (uh, well, until this week) as more airplanes get delivered. So of the hundreds of thousands of flights that have operated, two have ended in an accident. One of those accidents has been thoroughly reviewed and we know that any number of fixes could have saved the airplane. Had Lion Air done maintenance to fix the Angle of Attack sensors, had the pilots reacted properly to the nose-down response, or if the automation worked differently… that airplane would still be around and everyone would be safe. That’s not something that should require grounding an airplane, especially with quick fixes like supplemental training being available. And of course, Boeing and the airlines in the US that operate the MAX have a huge profit motive. While I’d like to think they all would put safety before profit… it’s easy to see the conflicts in the decision-making process. That’s why I look at those who are risking their lives by operating the airplane, if in fact there is something wrong with it. American’s pilots came out in defense of keeping the airplane flying. Southwest’s pilots said that with more than 41,000 flights on the MAX under their belts, they consider the airplane “safe based on the facts, intelligence, data, and information we presently have.” United’s pilots said they are “confident in our ability to fly the airplane.” If they were comfortable flying it, then I should be comfortable riding in it. Many are looking back at history to find parallels here, to help better inform the decision. There is probably no better comparison than the grounding of the DC-10 after American 191 crashed on May 25, 1979 after one of the engines and pylons separated from the wing upon takeoff. The mechanics in California discovered that two-inch cracks —similar to flaws that may have been involved in the dropped engine that caused the May disaster — had developed in both planes’ pylons since the last inspection, only 100 flight hours earlier. That prompted the F.A.A. to an unprecedented early-morning directive revoking the DC-10’s design certification. Here was concrete evidence that the airplane was unsafe. Cracks had developed during a very short period of time. It was completely rational to ground the airplane, even though it turned out it wasn’t caused by the aircraft design but rather a short-cut maintenance procedure that shouldn’t have been used. In other words, these are very different circumstances, though there was plenty of criticism of the FAA back in 1979 as well. This isn’t an easy decision, but it’s important to make the best decision for everyone involved. Remember that there were dozens of these airplanes flying in the US before the grounding, and they can’t be replaced overnight. American says it will be canceling about 85 flights a day. United and Southwest will likely see a lesser impact, but still, this leaves a lot of people stranded. Would I get on a MAX today? Yes. Would I be nervous when we took off? Yes. But that’s just an internal reaction influenced more as a result of the media coverage and ensuing panic then actual facts. Maybe the FAA learned something yesterday that will make a difference, or maybe they didn’t. But right now, it’s the uncertainty around what happened to Ethiopian 302 that is driving everyone insane. Once we know what happened there, hopefully cooler heads can prevail. I hate to quote this person – Rep. Ilhan Omar. But… “Its all about the Benjamins”. Trump and Boeing are in bed together. Thank goodness for Canada doing the right thing. Meanwhile I found it interesting when I read that Ethiopia is sending the black boxes to Europe for analysis – not to the U.S. I agree ORANGE MAN BAD! Orange man bad. Has no business weighing in on aircraft airworthiness. Presumably he will now embark on a long search for the plane’s birth certificate. Bad Orange man Should not listen to FAA, should keep airplane in air despite new data! Allan, Boeing lobbied the Department of Transportation to allow Norwegian Air International to violate open skies agreements to support B737Max sales under the Obama administration just as they did the Trump administration. This is status quo, no need to add a political purist spin on regulatory recapture and swamp lobbying—no matter who is in office these issues remain. Isn’t it precisely the uncertainty why we *should ground the plane? IF there’s a fundamental design flaw, it should be determined and resolved. Ignore the fact the pilots can address the situation. IF that’s what’s required, there’s something fatally wrong. I too would be nervous at takeoff and for that reason, it shouldn’t fly. Does it bother pilots? This wouldn’t be the first time pilot ego got in the way of safety. There is no design flaw. The system works as designed unless it is fed bad AOA information. In that event, either pilot can flip two switches – the Stab Trim Cutout switches – and trim the airplane with the manual trim wheels. Its the same procedure any 737 pilot would have used if there were issues with airplane trim. With the Lion Air crash, there should be no case of anyone not being aware of MCAS, what it does, and how to override it. If ET302 succumbed to this, that is 100% pilot error or airline training error, the override procedure takes 2 seconds plus some manual work of using the trim wheels, once the problem is recognized. If this ends up being something outside of MCAS and simple pilot error at a high altitude airport, or some other issue this will have been the biggest media overreaction, followed by regulatory agency overreaction in aviation history. So why is Boeing than working on an update if bad data from bad sensors is the ‘only’ problem? The point is that neither the system dynamics nor the training issue is as simple as you describe them here. If the second hull loss was related to the pilots not knowing how to override MCAS with the flip of 2 switches right in front of them, that is pilot error. And it may not even be MCAS for ET302, we haven’t even gotten the report on the FDR. Pilot error is not a reason to ground the fleet. My point is that the media attention around the crashes is warranted. Two mainline AC of the same type crash within weeks — that’s news. As for the reasons for the crashes, we’ll have to wait for that. It’s several months, not weeks. Lion Air was in October. Jyarmis – There’s a lot of uncertainty in the world, but we can’t just stop everything every time that exists. The Lion Air accident could have been avoided in several ways including a properly trained crew that acted appropriately. It’s not like it’s a freak fault (like an exploding battery, or fatigue cracking, or something like that) that needs to be pinpointed and fixed. The airplane is doing what it is supposed to do and it should be controllable. Now, do I think we need to make those software changes and find a way to create a bigger safety buffer for those pilots who mess up if all other things fail? Yes, but I wouldn’t ground the airplane because of that. Everyone should be hyper-vigilant that’s flying the airplane. If they run into the same problem as the Lion Air flight, they should all know how to handle it now. As for Ethiopian, we don’t know anything about what happened except it apparently has a similar flight profile as the other one. That doesn’t mean it was the same issue. Now, maybe the new data sheds more light on this, but we don’t know that yet. At this point, it’s hard to see how there’s enough info to warrant grounding in the US. It does seem like we’re seeing a shift in where the rest of the world takes it’s cues on airline regulation/safety. Has been any other instance in the last 30 years where the FAA has not led on an issue like this? It seems like most of the world (with the exception of Canada) followed China and Europe on this. Perhaps the FAA’s airplane certification process is too friendly to Boeing? HH87 – No, I think you’re right. The FAA usually leads, but in this case, it didn’t. But that doesn’t mean the FAA was wrong here. It just means other countries felt more emboldened to take action on their own. Of course, it’s easy to do that when the action is “ground airplane.” If they started to issue fix requirements through airworthiness directives as a result of these accidents, I think that would be a bigger shift. Boeing practically self-certifies its planes , as I have learned from a NYT commentary. China said their pilots are not comfortable flying this, Boeing didn’t give them enough answers, and they have almost 1/3 of the entire delivered 737 MAX. AA pilots said Boeing’s training, AFTER lion air, amounts to an 1 hour ipad video that has no mention of MCAS. AA planes actually HAVE MORE sensors than others. Doesn’t any of these give you pause? If other countries’ 737 max pilots don’t feel comfortable flying it, then they don’t have to. (Or the same for any individual pilot for any airline). then, don’t blame others for grounding theem 737 max, or cancelling future orders. Also, AA’s planes don’t have more sensors… They have more displays of the sensor data in the cockpit. One for each pilot instead of just one. But they still have two sensors, just like all the other planes. Cool, so why is AA treated differently than others? Is this a serious comment? American is not “treated differently than others.” The extra displays are not necessary to fly the plane, but are an ‘option’ an airline can add on, like you would for a feature in your car. Boeing offers a number of these options, like Heads Up Displays, but they are not standard equipment because they can get expensive. American, Southwest, and I believe United thought they were worth it. Airlines like Lion Air decided they didn’t think the extra features were worth the extra money. It was a business decision. Because the override procedure is the same procedure any 737NG pilot would know. Flip 2 switches, use the manual trim wheels. That’s it. If you get to flaps up and flying manually, and the airplane wants to nose down, and only responds temporarily to column input before wanting to nose down again, flip 2 switches, use the manual trim wheels. That should be a 5 minute video. Long time listener, first time caller. Cranky, I’m a big fan of your writing, but on this one I disagree with you. When was the last time that two brand-new planes of the same type crashed in the same phase of flight? There’s more and more evidence coming out in the media (which means that they key decision-makers likely had access to it earlier) pointing to similarities between the details of the two crashes. But even absent that, in such an unusual scenario, if there is doubt and uncertainty about the cause, shouldn’t we err on the side of caution? Could you imagine what would happen if a third plane went down? Lion and Ethiopian are both second tier airlines. In decades past, were second tier airlines buying the newest planes? My guess is they were buying used without all of the EXIM options these days. These days, second tier (some brand new) are buying hundred of new planes and hiring many (new) pilots. Seems to be a bit of a double whammy. What impact will this have on WNs Hawaii plans? Assuming they can fly 737-800s from all CA airports, but would have to delay LAS/PHX? I don’t believe that they’ve officially announced LAS or PHX. That’s all speculation or “future plans” at this point, but no start date has been set and no tickets are on sale. They’ve always been planning on starting the CA service with 737-800s, so this won’t directly impact that. I imagine that their need to move planes around to cover for the MAXs will result in some schedule shuffling around the network, but with the press that the Hawaii flights have gotten I would guess that those will be a high priority to leave as is. Mikebeau – As others have said, there’s no impact. All the flights are 737-800 right now. The MAX was expected to start later but it hasn’t been loaded yet. Why have ZERO people died on a 787, ZERO people died on an A350, ZERO people died on an A380, and ZERO people on the aging A340 — and yet 330 people have died within the first two years of its delivery? Nope, there’s nothing wrong there. Other instead think that they’ve cut corners, and the margin of error is too thin. Sure, if the star are aligned it will all work ok, but a small misalignment will cause a fatal crash. I’m more comfortable on other aircraft types, when the misalignment needs to be massive before people start losing their life. Two fatal crashes in the first year of operation is completely indefensible – especially in 2019. I’m embarrassed for Boeing, our airlines, and the FAA that they even considered keeping this plane in the air while they investigated. The fact that they did for three days reveals a dangerous blend of politics, corporate influence, and air safety that used to only be found in places like the Soviet Union. It’s been a sad week for US air safety – one that I think has cost us our ability to say we lead the world in that regard. Our leading aerospace manufacturer seems to have built a defective plane. That’s a manageable problem. Our unwillingness to acknowledge the problem is a whole other issue makes I believe is an existential threat to Boeing and American leadership in air travel. Would I fly a Max 8 flown by an AA or WN pilot – without hesitation. Is flying a Max 8 safer than driving my car home from work – absolutely. Should the airplane been grounded – yes. Aviation is built on an over abundance of caution. Two hull loss incidences in similar fashion in a short period of time is too much to not take action. Until we know the cause it’s the right thing to do, period. What I hope this does is gets Boeing to do the “right” thing and start the 797 and put a sunset on an airframe that first went into service over 50 years ago. I’ve spent A LOT of time in different 737 variants over the years. It’s been a good plane. But based on what I have heard from pilots and aviation engineers – Boeing has pushed it to the limits. the LEAP engines on the MAX should have forced Boeing to redesign the wing and landing gear. That’s too much work so they installed software as a fix. That’s cutting corners to band-aid a design that is beyond its expiration. I flew the 737-800, retiring before the MAX version was even considered, so no idea about the specifics here. However, there was an interesting bug in the FADEC (engine control) software at the time which could cause an engine to go to full power, with the only solution being to shut it down. Had that happen to me around 300′ on arrival at MIA, resulting in an “interesting” GA, followed by an uneventful single engine landing. What makes that potentially relevant is that Boeing eventually admitted that they knew there was a slight possibility of that happening, but it was vanishingly unlikely. Not quite vanishing enough for some SWA and AA pilots. Since it is not clear that Boeing learned the required lessons, grounding is certainly the more prudent path here. Top that off with a former Boeing exec as Trump’s new SecDef candidate and we have a Tom Clancy script. Crank, I wouldn’t trust Doug “our lavs on a MAX is like a spa” Parker in what he says. It’s what the mechanics say. I don’t like when an airline sends a heavy check overseas. That being said I wonder if the pilot training is at the level of the U.S.
Bobber – That article just strengthens my point as I see it. Of the more than 6,000 monthly flights on the MAX at US airlines, there were just a half dozen write-ups. And of the ones where there was a potential issue, the pilots had no problem simply overriding the system and continuing on. Does that mean there isn’t something that should be fixed or improved? No. I’m sure this can and will be improved. But this kind of information doesn’t support grounding the airplane. No, it doesn’t, but it does show that not all pilots are content with Boeing’s response to the initial Lion Air incident, nor the MCAS episodes that had already been reported. The article is really very measured – it’s not making a for or against, it’s simply saying data were already out there (not anecdote) that suggests there are issues to look into. Thank you for pointing out the fact that this aircraft has logged tens of thousands of flights and hours operating for American, United, Southwest, Air Canada, Icelandic and others with no problems and that the pilots of at least some of these carriers have voiced support for the aircraft. Suffice it to say that Lion Air does not have a sterling record for safety and there were questions about the maintenance procedures carried out prior to the last flight of the aircraft. The first officer on the Ethiopian flight had logged a total of approximately 200 hours, hardly a confidence inspiring total. In addition, in 2010, an Ethiopian 737-800 departed Beirut and crashed. The crew, in this case, was criticized for losing control and failing to practice crew resource management. When operated by a properly trained and experienced crew, this aircraft has not experienced problems. It would seem that the issues in these cases were the result of the typical chain of events that causes aircraft accidents. First, there seems to have been a lack of familiarity with the automation and systems, followed by an inability to handle the ensuing aircraft upset. I am a retired airline pilot from a major foreign legacy carrier. I flew for over 37 years and accumulated over 25,000 flying hours. Half of my time was on Boeing 727, 767, 777. My Airbus time was 320, 330, 340. Throw in some L1011 and some DC-9 and DC-8 time and you have my career. Would I fly on a 737-MAX flown by AA, UA, WN, DL or Air Canada pilots? Yes, without hesitation. Would I fly on a MAX flown by pilots trained ab initio with a 200 hour FO keeping the right seat warm? Probably not, at least not until there is an idiot-proof fix. Boeing’s philosophy on the 737 has always been that it needs pilots, not systems operators. Unfortunately they are selling to carriers with systems operators up front, and if you do that you really need to make sure they can be safely flown by systems operators. Or cancel the order and stop selling to “unqualified pilots/airlines/countries”. Enjoy your 80% less in profit. US fed can just nationalize the Boeing Co. and tax payers can buy all they produces. I guess that would be a great solution for those who can’t stand “foreign idiots pilots”. I don’t have a problem with “foreign idiots pilots”. I have a problem with governments that allow pilots without basic fundamental piloting skills to fly airplanes with paying passengers. If the captain is incapacitated, I would not want a 200 hour FO to be the only person on the flight deck, particularly if there are other issues (weather, mechanicals, etc). There are some parallels to the Asiana crash at SFO where the pilots could not safely perform a visual approach to an 11,000 foot runway in incredibly benign weather and conditions. And I’m not saying Boeing shouldn’t sell to these countries, I’m saying Boeing needs to design airplanes with the realities of how flying is done in these countries. This means things need to be idiot-proof enough that your 200 hour wonder can handle abnormals in said airplane, which has not historically been the design philosophy of the 737. I just had this discussion with a coworker yesterday. My whole thought on this is United 585 and US Air 427. Both 737’s, both had rudder hard overs that resulted in a crash. However, the fleet was still allowed to fly until they definitively placed the problem at the rudder power control unit. I don’t have a problem grounding an aircraft fleet until it is safe. But lets identify and be sure the problem is with the design and not any other factor first. I personally feel this is knee jerk. But I do understand the feelings of those that disagree. I had this conversation as well. The differences I’d point out were that those incidents were 3 years apart, different model types (-200 and -300), not brand new aircraft, and occurred at a time when hull loss incidents were much more common. Its a decent comparison, but not apples-to-apples, when considering the MAX crashes were 5 months apart, the same model type, brand new airplanes, and occurred in a time when hull-loss incidents (thankfully) are much less common. I’d like to hear a 737Max pilot respond to this scenario: You’re climbing above 1,000 feet when you detect an unwanted activation of the MCAS, and must take the necessary action to disable it, when at the SAME TIME, an engine catches fire, OR shuts down after injecting some Canadian geese (remember “Sully”). Just another day at the office. You work the problem in order of priority… If you are a competent crew, it should be handled without much issue. Flaps 1 (as long as you’re under 250 kts or are sufficiently concerned), MCAS turns off. Ok. Engine failures are benign at that speed, especially with the throttle having just pulled back to climb power from takeoff power. MCAS is one of many software algorithms that control the stab, a failure manifests as stab trim runaway, and it’s impossible to miss the giant steel wheel by your knee spinning loudly and continuously. Trimming against it will stop it temporarily, flipping the cutout switches (places so as to be easily found even if blind folded) solves the problem. A stab trim runaway can happen at any time, MCAS is just one more thing that can potentially cause it. It’s serious, but very easily handled. MCAS can certainly be redesigned to prevent this, and should be. But if a pilot can’t handle a star trim runaway caused by MCAS, they can’t handle it caused by anything else either, and every airliner ever has a stab trim that can potentially runaway. As an avid viewer of the Mayday/Air Disasters/Air Crash Investigation series, I certainly seem some parallels between these accidents and prior accidents associated with design flaws. There’s precedence for both grounding and not grounding the aircraft. From what we know about Lion Air, while the aircraft design was implicated, there were a number of other factors that contributed to the crash. Without additional evidence, I have to believe Ethiopian Air is in the same category so I don’t think grounding was truly necessary. It’s being done out of an overabundance of caution, but at a high cost to the airlines and the overall operation of the airline industry. I’m sure there will be a push to get the FDR/CVR reviewed ‘quickly’, but that review never seems to be a very fast process. Assuming everything plays out as we expect, Boeing will likely release a software update to build some redundancy/resiliency into MCAS. Obviously that software update needs to be vetted/tested thoroughly, but now that they’re in a grounding situation I do wonder if the urgency to resolve the issue could negatively impact the quality control of the update. Never a good thing to introduce more issues when attempting to address a problem. Having read about how the 737 MAX program developed, I think this is one of the downsides to Boeing continuing to stretch and modify an existing airframe so far beyond the original design. I’ve experienced quite a few takeoffs on the 737 that just seem to consume an inordinate amount of runway, and then when they do nose up they seem to hang for a while before actually gaining altitude. I know the stretch of the fuselage has increased the risk of tail strikes so the pilots have to be more cautious on their initial climb. The other factor that is involved here was Boeing’s desire to limit the amount of training required for existing 737 pilots. The fact that they introduced MCAS, which seems to be a significant change, but avoided significant training just seems to be asking for trouble here. Certainly there were business drivers behind that decision, and existing procedures SHOULD have covered this situation, but it seems that is not the case. Telling your customers they are not good enough to fly the new aircraft, is an awful way to sell the products. Not at all, I’m saying be realistic about the capabilities of your customers. Pilot incapacitated, 200hr FO in charge for the first time, MCAS acts up, you’re probably going to crash. Fix the MCAS so that’s not an issue, because you aren’t going to fix the fact that planes are flying with 200hr seat-warmers in the right seat. But until then – I still wouldn’t hesitate to fly in a Max with a US or Canada trained pilot. Lion air is a dirtbag operation. They put an aircraft in the drink or mountain every other year. That aircraft never should have flown that flight, maintenance should have pulled it out of service and actually fix the defects. It was written up the previous four, FOUR flights… The crew before the fateful flight manage to deal with issue and successfully land, the next crew was not as good… which sucked for their passengers. In the case of the Ethiopian crash, they never reach flap up altitude. MCAS isn’t suppose to work with the flaps extended. So if it did and erroneously pushed the nose down that would indicate a double failure, very unlikely. My wild guess since that seems to be what everyone is doing, is that Ethiopian is unrelated to the Lion Air. First, let me echo the comment from earlier — thank you for some common sense in the discussion. Having been a CFI for 36 years, a licensed pilot for over 40, and coming from an aviation family with a bunch of heavy metal drivers, I was as perplexed as others as the events of this week unfolded. The culture of safety in aviation starts with the CFI. This CFI strongly believes that whatever action is taken should be based on facts and hard evidence, not conjecture and theories by non-aviation trained parties or individuals. The reason the system is as safe as it is is because of the work by the regulators, pilots, airlines, manufacturers, and so forth to maintain that high standard. Let those people do their job. If the facts and hard evidence mandate a grounding, ground the airplane. Do whatever is necessary to return it to air worthiness, but use the facts and evidence to make those decisions and not whatever is driving the evening news cycle or social media buzz. A somewhat cynical/sarcastic comment is in order here: I guess safety is more important than the presence or absence of seat back entertainment. I read your entire article with interest. However, I could not disagree with you more. I wonder how many of your readers agree with you. I worked for a major airline for 35 years, 15 of those in aircraft maintenance. I have been flying as a passenger for the past 52 years. I feel the FAA did our citizens an injustice by not grounding the MAX sooner. As an airline retiree, I feel the MAX should have been grounded soon after Ethiopian 301 crashed. I don’t call the two MAX crashes an accident, I call them catastrophes. The horrible death of over 300 passengers, in less than 5 months, should have alarmed everyone who flies. It did not take the media for me to decide not to get on a MAX, and to advise my family not to get on a MAX. I place a very high value on the lives of passengers. While it appears you are looking at statistics, I look at lives lost and their families. I have the utmost respect and admiration for pilots who fly for U.S. airlines. I also believe they feel very capable of flying jet aircraft (and I know most are). Years ago a Captain for a major airline told me that a chimpanzee could be taught to fly jet aircraft. Fear is a powerful tool… perhaps you should tell your family and friends not to drive since it is less safe than flying in MAX. Or perhaps you should only fly on small aircraft, since the lives lost will be less than if you were to fly on a large, dual-aisle aircraft. A grounded fleet should have nothing to do with how many seats it has. You sound very ignorant, but if you do not comment no one will know. There are 2 issues going on, one is training and being proficient in the systems and the other is the design and implementation. While it is up to the airlines to inform their pilots to be properly trained, it is Boeing’s responsibility to inform the pilots that the MCAS existed in the first place which they did not do until crash of Lion Air. This article in the Washington Post “At tense meeting with Boeing executives, pilots fumed about being left in dark on plane software” reported that US pilots were furious with Boeing’s decision to not unveil this MCAS system. MCAS was implemented because the MAX design was unstable and it was a bandaid solution. Boeing did whatever it could to influence the FAA to maintain type certificate for the MAX series without much or adequate training. This to me is a huge failure on both Boeing and FAA and hence the MAXs should have been grounded much sooner. 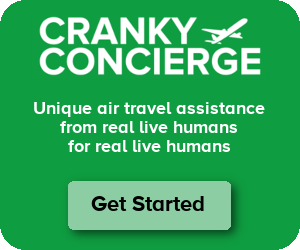 Hi Cranky, I couldn’t agree with you more on the 737MAX. The FAA was taking the proper course waiting for the data to come in before making their decision. Maybe they would find that the dots all do connect and the airplane should be grounded….and maybe not. Innocent until proven guilty. I thought it was especially inappropriate for the president to insert himself into a problem when he clearly does not understand the technical issues involved. All of that said, the court of public opinion seems to be all that matters these days and it had to be extremely difficult for the FAA to stand against that. If you want to look back in history and find a parallel, there is a much better one than the AA DC 10. In the fifties, the Lockheed Electra fell out of the sky three times and then it was grounded. So we should wait till the MAX 8 does this three times maybe? Of course back then there was no black box and it took a while to figure out what the problem was. Same thing happened to the de Havilland Comet. After three crashes, it was grounded. Lockheed and de Havilland never recovered. The Electra was never grounded. There were howls from all corners to do so, but the FAA stuck to its position and refused to ground it, even though no one could say why two airplanes shed wings in cruise flight. The FAA did place speed restrictions on the Electra. In the end the FAA were vindicated. The speed restrictions were effective until the cause was found and the Electra could be modified to counter divergent whirl mode flutter. It took guts and rational thinking for the FAA to not ground the Electra. It’s not as if Quesada cared if Lockheed went bankrupt. This is one reason I have so much respect for the FAA. That being said, I’m amazed at Boeing for the idiotic design requirements they apparently flowed to their MCAS system. Single threaded? There’s two AoA sensors, so why not inhibit MCAS if they disagree? And full authority? Why does this system have the power to command full nose-down trim? Oh, and Lockheed recovered. They sold hundreds of P-3s based on the Electra airframe and are now the world’s largest defense contractor. The early model 727-100s also had their share of serious accident problems due to pilot unfamiliarity with a new model aircraft. In August 1965, a United 727 crashed into Lake Michigan on approach to O’Hare. On November 8, 1965, an American 727 crashed on approach to Cincinnati and three days later, a United 727 crashed on approach to Salt Lake City. A few months later, yet another 727, an All Nippon flight crashed into the sea on approach to Tokyo. Each was a controlled flight into terrain. However, the FAA found the accidents’ common thread was high-speed approaches in excess of the maximum allowable speed. It was later suggested the reason was the “T” tail design, of which the 727 was the first to fly. What happened: no grounding. The FAA and NASA reviewed the designs of the 727 and determined it to be airworthy and properly certified. What happened next was interesting. The FAA convened a meeting of 727 operators and went over operations and training. The airlines made modifications to training and flight manuals and the rest, shall we say, was history. The short answer is like in 1965 and 1966, we had tragedy with a new airplane that was different from what pilots were used to flying. There was a right way to fly these planes and when they were flown correctly, CFIT generally was not a problem. You can say there is a design error all you want, but if the Max is flown correctly, the software problem should not be an issue. Some of the specifics of this story came from https://www.lexology.com/library/detail.aspx?g=5e7f072b-c5e7-42f8-9b15-1a2e94781766. I seem to remember the FAA prohibiting the use of 40 degree flap to reduce the speed stability issues that were causing former piston-engine pilots so have much difficulty on the 727. The 1960’s equivalent of a software fix. Of course, all airlines, all aircraft manufactures, all pilots, all government agencies, are just great, but we can do better. My question is whether or not FAA is doing enough BEFORE these things happen to prevent them. Do FAA, NSTB have the correct level of funding, the right number of people, the political backing, the power to see that things get done before these tragedies happen? How often do we hear FAA lacks the money, the people, and NTSB says we know the problems, but we can’t force the people to take the corrective actions we know are required. And, then there’s us. Get rid of the red tape. Screw that paperwork. C’mon, we’re late, let’s go! De-regulate everything, economic AND safety, or let’s farm all the regulation writing and enforcement to the private sector, like to Boeing, American. Fred Smith and FedEx, etc. Enough blame to go around. We’ve got some work in front of us, methinks! Boeing should have abandoned the 737ng and launched a totally new clean sheet design in the early part of the 1990’s. They had a chance to produce an aircraft that would have been more competitive with the A320 series, which by the way, is currently out selling the B737. No matter how you stretch it, reengine or automate it, it is still a 50 year old airframe. Either the FAA was not privy to the data that other aviation safety regulators in other countries and pilots were receiving after the ET crash or the FAA didn’t consider it a high enough standard of data. Either way, it is damning to the FAA and to US airlines that fly the MAX that supposedly “second tier” airlines managed to find the data that the FAA ultimately managed to find. And those that are happy to call 3/4 of Boeing’s customers outside of the US “second tier,” you are precisely what will relegate Boeing to a second tier aviation company. and funny we aren’t talking about other Boeing products here – but rather the 60 year old 737 which has had more nips and tucks than anyone in Hollywood. Maybe the real problem is that the 737 has just been modified beyond the original airframe’s capability and not even Boeing has had the same problem with other aircraft – which are also widely flown (ET operates Boeing widebodies). I don’t really have a comment about the grounding, but I do have one about faulty systems. When something new comes on an airplane, even with adequate training, if it has a problem, it usually gets written up by some people, as shown by the safety reporting system. If it doesn’t reach a chronic level, then the engineering folks and the airframer may miss the opportunity to analyze it. At that point, the glitch becomes a feature. It is harder to recognize the problem later in the time line. Sometimes it gets raised again when new Captains come to the fleet and question things. It can be hard to get the airframer’s attention when they haven’t seen it in their test flying or lab testing. I’ve experienced this several times during my airplane engineering career, especially on the avionics/electrical systems side of things. I generally like Bret’s articles, but I don’t agree with this one. The words “retain elevator authority” are the key words. When those words appeared, country after country started grounding the 737 MAX. I don’t think anybody outside of Boeing and the FAA had any idea that elevator authority was in question. George – I don’t see how my view conflicts with this one. I’m talking about government but Leeham is talking about Boeing. I think everyone would agree that Boeing has handled this poorly from the start. That is a different discussion than whether the government should act to ground an airplane or not. Boeing is a whole different post (or novel). There’s plenty to criticize, and no question that the 737 has been stretched at least once, if not twice, too far. That, however, doesn’t make it inherently unsafe, it just makes it a bad business decision. You, and the FAA, are thinking about uncertainty incorrectly in this situation. You shouldn’t need absolute certainty that a plane is unsafe before you ground it. Rather, you should have a high degree of certainty that it is safe to allow it to fly. Whatever the investigations finally uncover, there is enough here to justify grounding that fleet for now. Maybe they should ground 200 hour pilots, too. Because when you put someone with as little as 200 hours in the flight deck of an airliner, you have added large amounts of uncertainty. That is a bogus argument. The captain of the Ethiopian flight had 8000 hours and he was supposedly speaking in a very panicked voice to ATC. if someone that has been flying for 10 plus years can’t figure out what was going on with the aircraft and respond to it, someone is fundamentally wrong w/ the design of the aircraft. Boeing tried to dumb down the 737 for years for the benefit of Southwest to keep it on the same certificate as previous generations of the aircraft; in the process, they probably created a plane that was aerodynamically unstable w/o a bunch of bolt-on safety systems that they had to limit so it wouldn’t be too different from previous 737s. Word is coming out that Boeing’s CEO called Pres. Trump asking him to not ground the MAX. That is just really bad news. It becomes more and more apparent that Boeing didn’t want to see the problems the design really had and did everything they could to keep the inevitable grounding from coming. The fact that Ethiopia turned to the French to help investigate the accident is a snub to Boeing and the FAA. Boeing and the FAA’s credibility has been severely tarnished no matter how hard some will argue otherwise. Moving from the right seat to the left seat is inherently different. He was a new captain that was basically single pilot. The first officer was just a passenger. Hard to say if things would be different if they were an experienced crew, but it sure didn’t help their chances. Based on the statistics from the last 1.5 years, flying MAX is 10-20-30 times (depending on how you calculate) more dangerous than average modern plane. 4-6 fatal crashes per 1M flights vs 0.2-0.4 for the industry average. No new training needed. Yet they introduced new features that many pilots were never trained about. Self-certified since FAA under Bush Jr. in 2005 decided to save money and stop really doing any serious certification. I found this to be an interesting take on the situation. That is (another) good Atlantic article – interesting, as you say, and probably a prudent approach. It may well be that it takes both (pilot training and systems modification) to sort this out. I still think it wise to err on the side of caution – pulling the planes from service is easier than pulling pilots from all airlines (and more simple to monitor compliance). I’m curious as to the source of these statements. One of the pilots had only 200 flight hours, while the other had 8k flight hours. Hi – The source is the airline saying that they had been trained in the MCAS system since the Lion Air crash. Whether they are well trained overall or not, I have no idea personally. but to have the holier than thou attitude is just the symptom of today’s online world where one can say this kind of stuff and not be put to the test of whether they’ll actually fly the plane themselves (assuming it wasn’t grounded). This is also equating to say every aviation authority globally are panic driven jerks who care more to score political points than their actual duty of aviation safety. yea no one is pretending one can know all the answers by next week, or even next month, but when all red flags are raised, the default position of “let’s not do crazy until it’s proven bad” is galling. That’s the type of position only someone who either has skin in the game , or wants to show to the world how they’re the only ones who can see the thing so much clearer than everyone else. I can only say – SPOT ON !! Thanks for providing a broader, objective perspective related to the air worthiness of the 737 Max. I especially appreciate you sharing the comments from the pilots union from the 3 US airlines flying the aircraft. I had previously read a comment attributed to a US pilot (I believe for AA) who expressed extreme concern about the lack of training and documentation in the manual. There seem to be differing points of view from pilot leaders and some rank and file pilots. You commented that the reason the Max has the additional automated system versus the prior 737 family was due to maintenance issues. I had not heard that issue before. I thought it must be due to the different engines on the Max. Do you think there could have been a better way to deal with whatever the maintenance issue is? Also, being a bit of a sceptic myself, I wonder if there is a bit of a vested interest by the French in the investigation of the black box. Clearly, Airbus is the big winner of the Max being grounded. Since the US arguably also might arguably have a pro-Boeing bias, it would seem prudent to have the black box analysis conducted by a nation without any stake in any of the aircraft manufacturers. That leaves out the US, much of the EU, now Canada since Bombardier is owned by Airbus, Brazil, etc. SEA – I didn’t mean to suggest it was done due to maintenance issues. I’m writing up a much more detailed post on this that will go live on Monday. This incident does little to change my willingness to fly a MAX, but does confirm my general skepticism of flying airlines based outside the US, Canada, and (I guess) Europe. First, I’m not a pilot or professional so not qualified to speak for sure. Yeah, I worked in commercial aviation for a few years and in the lowest of management positions so learned enough to make me dangerous. Therefore I can only offer my opinions from the peanut gallery. I’m not sure if there is a flaw in the 737 MAX or not. Knowing Boeing I would have to highly doubt it. What has happened here is the same thing that happens after every tragic event be it a plane crash, train wreck, mass shooting and ad nauseum. Political and other pundits emerge out from behind the scenes yelling and screaming for immediate action, justice and other knee jerk reactions to whatever the situation. This is mostly done to show off to their constituents that they actually might know something. Of course, the media on the other hand resorts to sensationalism and blows things all out of context which is further enhanced by the social media. Gone are the days when cool and calm heads prevailed after such an event, and when you could read an accurate and truthful news account of the incident. My thoughts are perhaps the cross training for the MAX could have been a bit less intensive than it needed to be? Add that to a less experienced aviator (I’m not saying inexperienced) and…well….yes, you have the ingredients for an accident. Hopefully the cause for these accidents can be found and if warranted, any corrective action be taken. I’m a “first time caller” and long time reader. I disagree strongly, Cranky. I think it’s pretty reasonable — common sense, really — to believe there’s a high risk of a flaw involving the plane to cause to similar crashes so soon after a new plane. If uncertain, lives should be valued ahead of profits. I find the way American and Southwest conducted themselves to be callus and dispicable — offering hallow reassurances about the safety of the plane and (in the case of AA) refusing to change/refund tickets, while risking the lives of passengers. At what point will humanity embrace flying wings, canards or ultra-high bypass engines? We went to the moon & created the Concord, but now limit technological progress for maximum quarterly profit. Boeing’s facilitation of LCC one-jet business model gorging on single-aircraft certification across multiple 737 variants should stop. —We’re simply not in the 1960s anymore. Unfortunately, Boeing relies too much on crony capitalism and regulatory recapture. Boeing lobbies the US government to break our own bilateral trade treaties to support B737Max/B787 sales ( Norwegian Air International ) and attempted to block some of the most modern of civilian aircraft technology from US customers ( C-Series) through further lobbying and legal action. Maybe all this is a byproduct of Boeing compensating for B787 program delays and cost over runs. Obviously the US wants the lowest possible military acquisition costs. So, fair enough, but the 737 is now too long in the tooth and execution is everything in so far as hundreds of people are now dead. It will be interesting to watch SWA get a second fleet type and have the most aged work force in the next 15 years. All B737 LCCs may have to rethink their business models. This would be a great study for Cranky to write about! ‘ “We all rolled our eyes. The idea that, ‘Here we go. The 737 again,’” said Mr. Ludtke, the former 737 Max cockpit designer who spent 19 years at Boeing. “Nobody was quite perhaps willing to say it was unsafe, but we really felt like the limits were being bumped up against,” he added. Some engineers were frustrated they would have to again spend years updating the same jet, taking care to limit any changes, instead of starting fresh and incorporating significant technological advances, the current and former engineers and pilots said. The Max still has roughly the original layout of the cockpit and the hydraulic system of cables and pulleys to control the plane, which aren’t used in modern designs. The flight-control computers have roughly the processing power of 1990s home computers.